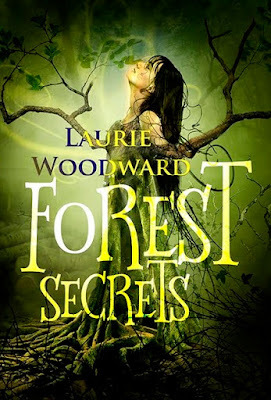 Forest Secrets: A Magical Mystery Novel by Laurie Woodward is an interesting tale of good against bad. It is a classic YA novel discovering magical mysteries of nature. There has been a constant struggle by nature against bad elements trying to destroy it. But there are many friends of nature too. This is the story of nature’s struggle against its foes and about its friends. The story is about an existence of half-tree, half-human beings living secretly deep in a timeworn forest. These trees have a friend – an 11-year old girl named Daisy Castillo. She finds a conspiracy cooking up for the destruction of the forest. She decides to stop these enemies of nature reaching her friends – the magical creatures. Her prime goal becomes to keep their secrecy intact from these bad elements conspiring against nature. Forest Secrets: A Magical Mystery Novel by Laurie Woodward is a unique characterization of nature and its struggles and friendship with mankind. You can read her view on anti-bullying and peace resolution here. You can also read her interview here. I find this book touching a sensitive subject quite intelligently. The subject, storyline, and theme are managed well in Forest Secrets: A Magical Mystery Novel by Laurie Woodward. There are a lot of surprises that uncover as the story moves ahead. There are many silent friends of nature that rise up at the appropriate time to save it. Two points have been taken up very well in the book – nature and friendship. It is a well-crafted story of the fight between good and bad. 145 pages are bound to bring a lot of surprises. There are elements of suspense, mysteries, friendship, conspiracies in this classic tale. The book sensitizes the issues of endangered species, environment, conservation, adversities, diversities and wildlife preservation. There is a kind of similarity between the two new friends – Daisy and Callandrai. Daisy is heartbroken seeing her parents’ divorce. She leaves her home and finds her new friend in a deep forest. Callandrai is a young tree – half plant and half human. Callandrai also had a recent heartbreak losing her tree parents. Daisy also meets another new friend who helps her in fighting against the evil. There are critical missions to handle. The foremost critical mission is to stop the logging company tearing down the forest. It has a deadline. The destruction of the forest is bound to happen after a specific timeline. Another critical mission is related to the first one – to find Callandrai’s parents back. If the forest gets destroyed, her parents will be lost forever.